Since 2009, Audio Alchemist has executed the sales and marketing for Dangerous Music, Inc. The relationship has proven both rewarding and profitable. While actual sales numbers are proprietary data, the graph reveals the financial growth curve. Revenue tripled with coordinated go to market product strategies and targeted customer base segmentation. Enlisted Presonus to develop a transformer based channel strip at a $500 street price that became one of the nation's best selling channel strips. This single rackspace unit loaded with Trident and Oram design excellence features a superb mic pre, pristine dynamics handling, and facilities for stereo reproduction. Equipped with EQ Magic, a musical shelving equalizer that boosts or cuts 100Hz and 10kHz simultaneously with a single control. 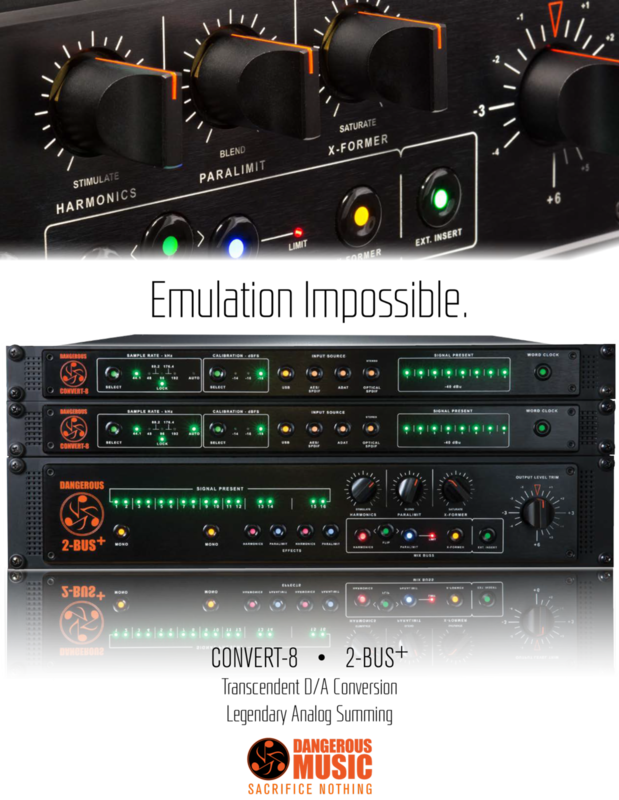 The 3-band EQ and compressor/limiter circuits offer precision tweakability. There are many ways that Audio Alchemist is making an impact in the industry. Let us leverage our 20 + years of experience and connections to create a custom solution for your business.